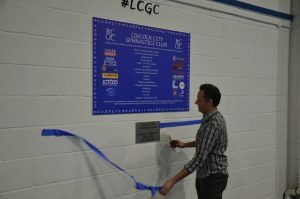 Lincoln City Gymnastics Club have recently opened a new gymnastics facility on Taylor Lindsey’s Newark Road estate. The club was previously based at The Priory School on Skellingthorpe Road, but an increasing demand and the club’s keen appetite for expansion has led to them taking on their own facility. Adrian Bower, Estates Manager for Taylor Lindsey, commented “We have been amazed by the drive and passion of the club’s members and coaching staff to bring forward a property ideal for the next chapter in the club’s history”. Patricia Clough, who is on the club’s committee and who has been heavily involved with the move said “We have been looking for a new home for 4 to 5 years and have now found a property that will support our ambitions and growth for the foreseeable future. The club’s members and supporters have all knitted together to assist in preparing the unit and moving from Skellingthorpe Road. There has been a vast amount of work, but with Taylor Lindsey’s assistance, along with help and support from numerous other companies, we have exceeded our expectations. The club has gone from strength to strength and we are looking forward to the future”. 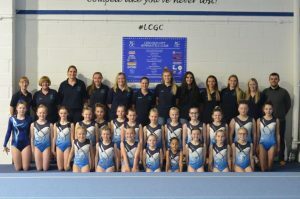 Lincoln City Gymnastics Club is occupying a 4,400 sq ft unit on the Newark Road estate, which was formerly occupied by an electrical wholesaler. Taylor Lindsey undertook the planning application for the gymnastics club and carried out a refurbishment programme.